Today I walked inland (northeast) a mile or so from the Bay Trail, into downtown Oakland, to meet with the Bay Trail team for lunch. 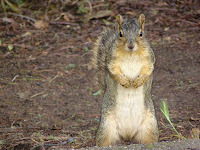 Thank you again to Laura, Maureen and Lee for all the good work you do. From the Association of Bay Area Governments (ABAG)/Bay Trail offices at 8th and Oak Streets (across the street from the Lake Merritt BART station), I walked (northeast) up Oak St. toward Lakeside/Lake Merritt to get to the loop walk around the lake (shown as a solid purple line on the Bay Trail map). 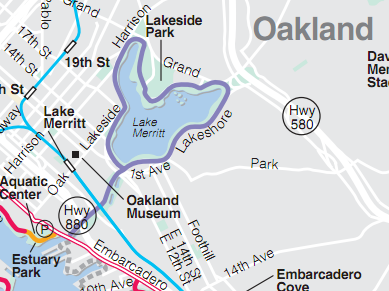 Note: While the map shows a purple line going from the Bay Trail to Lake Merritt, there really is not a connector trail in place at this time. 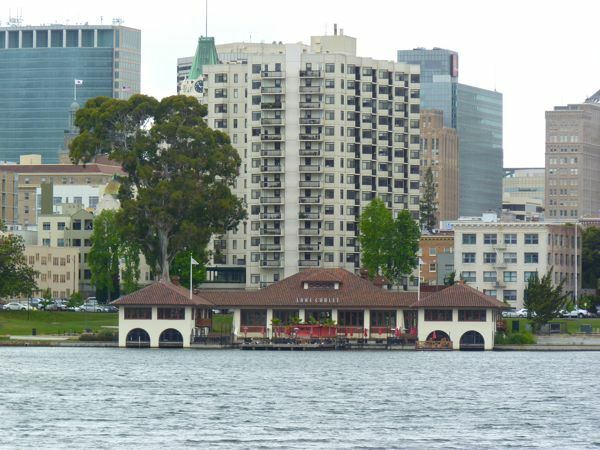 However, heading northeast from Jack London Square on Oak Street is a fairly easy way to get to Lake Merritt from the main Bay Trail. 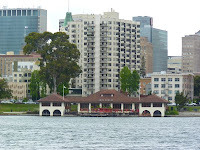 I had caught glimpses of Lake Merritt in years past, always from a moving car. So I was delighted to discover many new nooks in this large lake at close range, on foot, including the oldest wildlife refuge in the U.S. 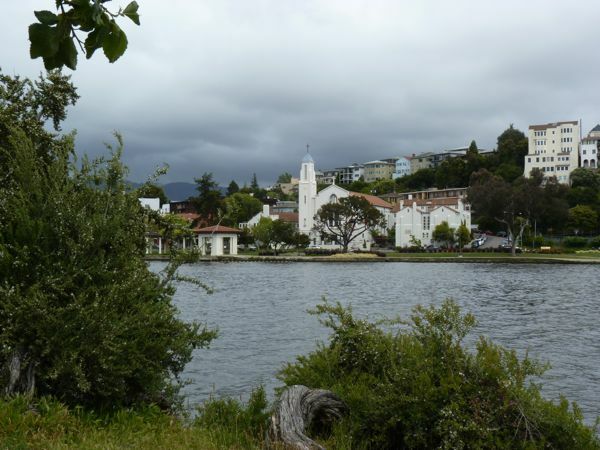 The Lake Merritt Refuge (established in the 1870s) is an area with many birds, and a few small "islands" with dozens of cormorants nesting in trees, and many other birds (different types of geese and ducks, and black-crowned night herons, to name a few) nearby - at the Rotary Nature Center. 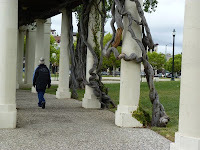 The trail around the lake is lined with benches and, in places, strings of lights -- that must make for festive summer evenings. It looks like there is something to do for people of all ages, whether it's going out for a stroll, a run, a gondola ride, or visiting the Children's Fairyland area. 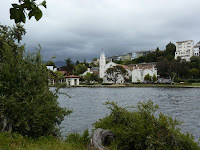 Someday I'd like to return to eat at the Lake Chalet (Seafood Bar and Grill). The view of the lake looks like it's worth experiencing. 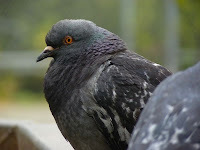 46 pigeons; 100 sea gulls; 20 ducks; 98 Canada geese; 7 snowy egrets; 50 cormorants; 2 blackbirds; 5 little brown jobs (LBJs); 1 white fronted/mixed goose + 4 odd/unidentified geese; 1 unidentified flying bug (UFB); 8 black-crowned night herons, including 2 brownish juvenile herons; 4 squirrels; 1 crow.